A natural and healthier alternative to chemical protector like Teflon and Scotch Guard and it is just as effective. Moore's Carpet Cleaning Service has been branded for its unprecedented service in residential and commercial carpet cleaning, upholstery cleaning and restoration for over 30 years. We are proud to leave a stamp on all our work along with the highest level of customer satisfaction. A cleaner carpet and upholstery will reduce allergens while enhancing the appearance and comfort of your environment. Properly cleaning your carpets will also prolong the life of your carpets. Our philosophy is that clients should not be exposed to harmful cleaning chemicals. This is one of the main reasons that all our products are biodegradable, safe, and Green Seal certified. Each product has been individually tested before being integrated as part of our cleaning services. There are a million and one things to consider each business day but you can make it so that the deep cleaning of your carpets is not one of them. Moore's Carpet Cleaning Service can set up an annual cleaning schedule so that you do not have to worry about the hidden menaces which collect in your carpets over time. Bacteria and other micro-organisms can be a threat to the productivity of your workforce as it can lead to the spreading of disease or uncomfortable allergic reactions. When you choose Moore's Cleaning Service you can have confidence that you will be getting the best commercial cleaning service at the best possible value. Moreover, you will enjoy peace of mind knowing that your building maintenance is in the best possible hands. 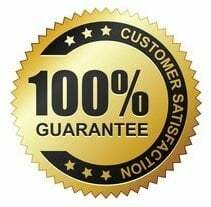 It is our commitment to quality that has kept us in business for so long and it is that same commitment that we guarantee will make you glad you called Moore`s Cleaning Service, so give us a call today to set up a free consultation for your business. A Clean area rug will add comfort and style to your home. However, area rugs especially in high traffic areas are exposed to wear and tear on a daily basis. They trap dust, dirt, odor due to smoking, pet accidents and spills from normal daily usage. Having your area rug properly clean on a regular basis will prolong the life your rug. Carpet cleaners are frequently mistaken for area rug cleaners. However, the process of carpet cleaning is completely different than the one for area rug cleaning. 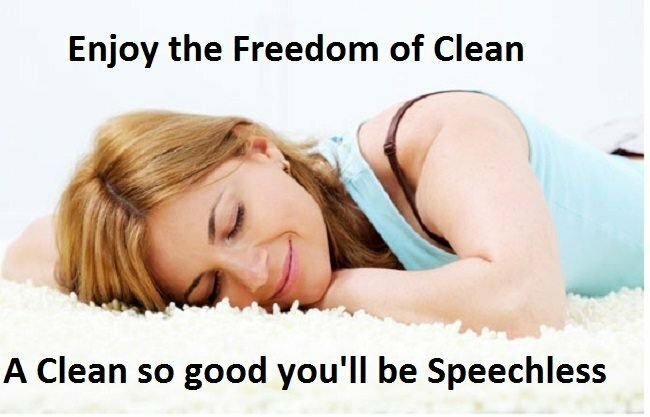 Carpet cleaners come to your home and steam clean your area rug. They add harsh carpet cleaners to wash your area rug which may result in discoloration or over wetting of your area rug. The carpeting or wood flooring under area rugs can be damaged in the process, not only due to possible discoloration from bleeding dyes but also from the dampness and humidity of a wet rug. 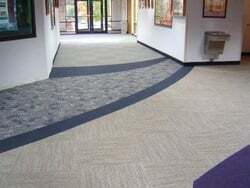 This process is standard for synthetic wall-to-wall carpeting but is not appropriate and is often damaging to delicate, handmade and natural fiber rugs, such as wool and silk. Some homeowner take their rugs outside and power wash them, some even wash their rugs using the garden hose and shampoo. This method of cleaning is not recommended for the cleaning of area rug because it may result to irreversible damage. Also we do not recommend the spot cleaning of area rugs using store bought carpet shampoos and detergents. These harsh cleaners are designed for wall-to-wall carpeting with synthetic fibers and are not designed for natural fiber rugs. Area rugs have rich dyes that may easily bleed and discolor not only the rug itself but also the floor underneath. Area rugs should to be cleaned regularly and they also need to be cleaned correctly to avoid damaging them. An improper cleaning method can ruin your area rug, thus ruining your investment. To keep your beautiful area rugs healthy for a long time, call your local professional area rug cleaners. 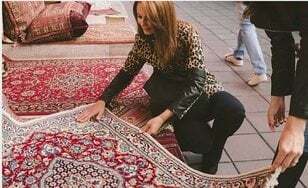 They actually take the time to analyze your rug and determine which cleaning process would work best.
" I ’d like to express my satisfaction with the job Moore's Cleaning did on the carpeting at my condo.They managed to get some rust color stains out of one carpet, that have been there since I bought the place, ten years ago. Over the years I had used various store bought stain removers, to no avail. Now my carpets all look bright again. I plan to have him back to do the carpets every year now. I’ll never rent a do-it-yourself machine ever again! Thank you so much. Fair price too.